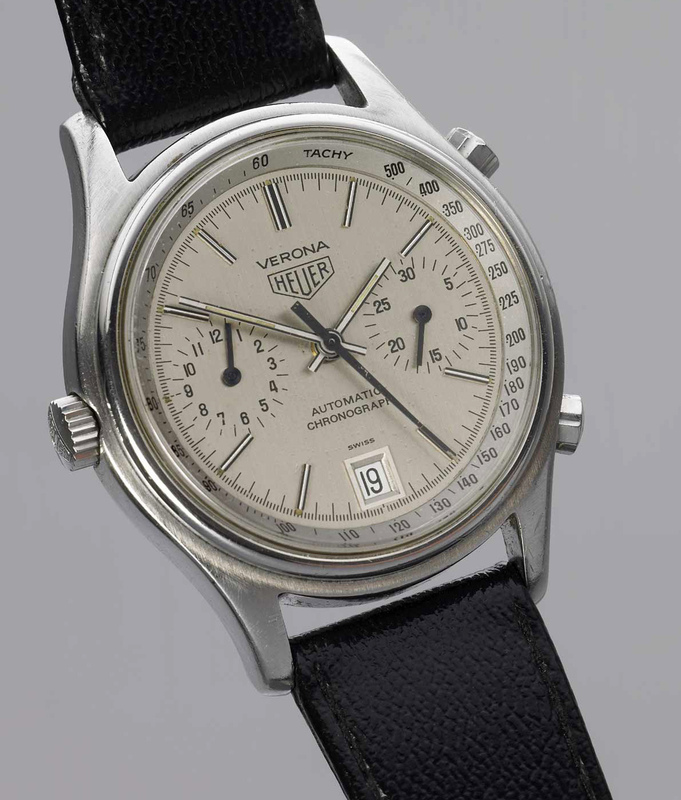 This is a rare Heuer. 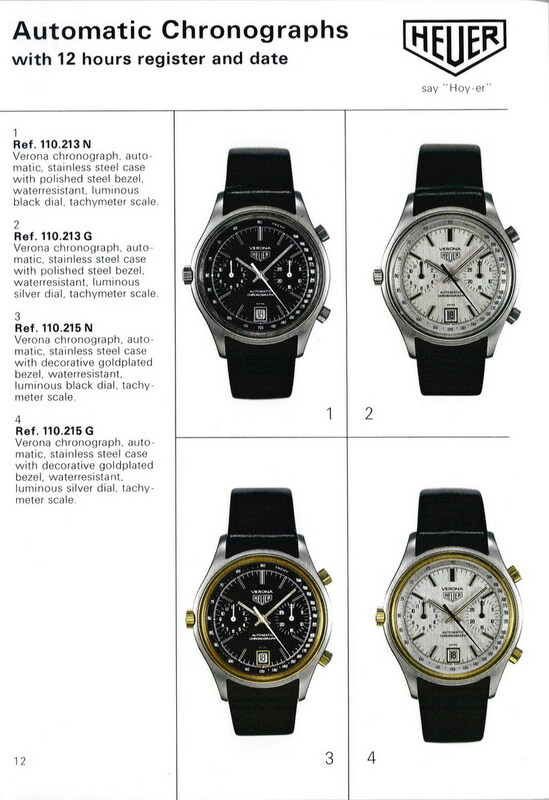 The Verona is a more dress type of chronograph. 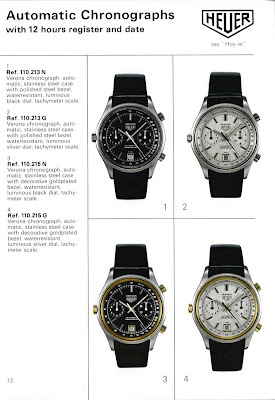 Not as big and colorfull as many of Heuer's more well known chronographs from the 1970's. The ref. 110.213 is all grey with steel and black hands. I think it's a elegant watch. I bet it will look nice together with a nice suit. 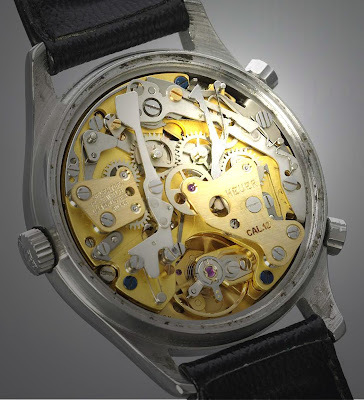 The movement is the famous Heuer calibre 12 Automatic chronograph. 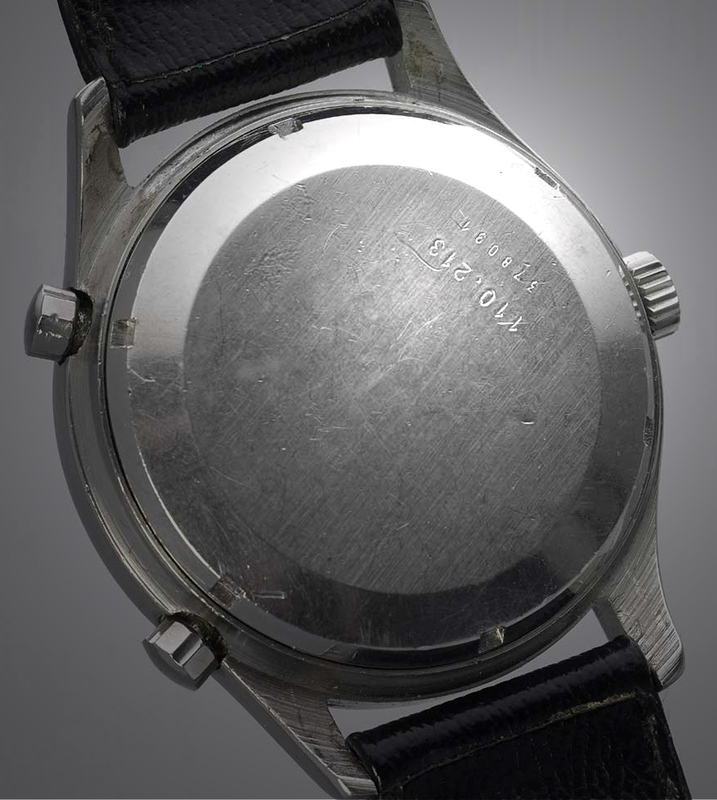 Verona was never sold with bracelet. It was sold with a black leather strap. 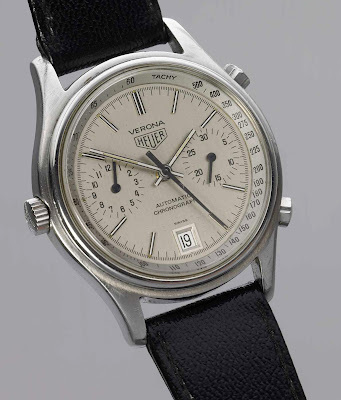 The Verona is listed in a 1978 Heuer catalogue. These watch is a true original and testament to the long-lasting beauty of meticulous craftsmanship and quality materials.